Donguibogam Village, Sancheong-gun, Friday 6 September, 2pm. After lunch, I realise that I now have to perform my ambassadorial duties. My sense of gloom is at odds with the enthusiastic spiel that I have to present to the camera. 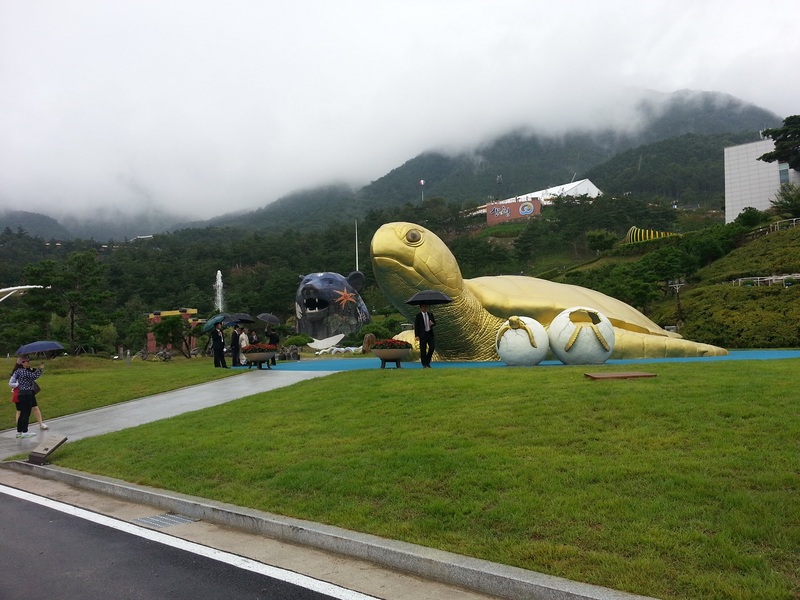 We proceed to the Donguibogam Museum where we meet up with a few people in an informal café and drink some tea. Someone brings in a video camera on a tripod. I assume that at some point someone will invite me to get up and give my welcoming message to camera. I run through the agreed bullet points in my head, making sure I can say everything I want to say in the right order. But I’m in no hurry to get up and perform until someone asks. The camera and spotlight pointing at me, I’m really rather pleased that I deliver my lines enthusiastically, smiling, with no major stumbles, and in one take. Relieved, I start walking towards the exit. But the PD is looking at the recording and decides that while the message is fine, my “Sancheong Fighting!” is not. In retrospect, I think they might have been objecting to my arm gesture: instead of enthusiastically waving my fist in the air, I think I had probably conveyed something rather vulgar. After two more takes I was allowed to go. I was just about to make good my escape when another cameraman approaches me. He converses with Kyung-sook. He’s from a national TV station and wants to interview a foreigner about the Expo. Kyung-sook argues with me that as I’m ambassador, and that this is the only opportunity for a foreigner to be interviewed for national TV about the Expo on the day that it is opened, I should put aside my natural inclination to run away from this unscheduled interview and do my duty instead. She’s right, of course. And it turns out that he doesn’t really want to ask me any questions. He just wants me to talk enthusiastically for half a minute. Fine, I think, I’ll just deliver the original script that I agreed with Kyung-sook this morning. Of course, I was meant to be enthusing about the Expo, not the Festival, if you still remember the difference. Fortunately Kyung-sook had got bored with my feeble efforts and was on the phone to someone. Her attention elsewhere, she hadn’t noticed, and I wondered whether to confess to her. 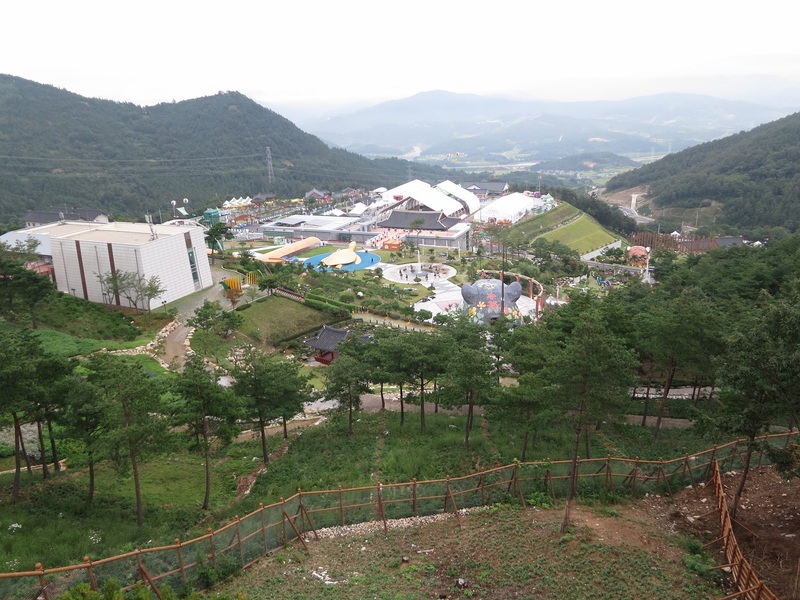 I did, but I also persuaded her that probably not many people outside of Sancheong itself would appreciate the distinction between the Expo and the Festival, and that if the difference was really that important the TV people could subtitle me as having used the right word. She reluctantly agrees, though I can sense she’s rather disappointed at my unprofessional attitude. That was the end of my duties, and trivial as they might seem to many, now that they were over I felt as if a cloud had lifted. 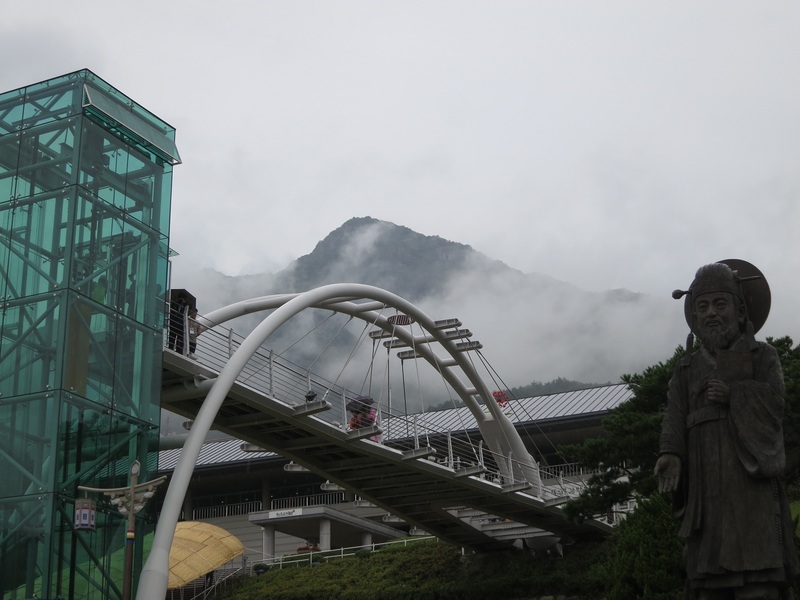 But outside the museum it is still raining. We’re hot and tired from pacing round the Expo, and my minor ordeal with the media has exhausted me. We climb back up the hill to where we left the car, and drive the remainder of the way to our apartment to rest, shower and cool down. My only formal shirt is already sticky and slightly crumpled but I have to make do. I had made sure that I was reasonably smart for the sanshin-je and other ceremonies in the morning, but for the formal opening event of the festival I need my suit. Kyung-sook agonises over which outfit to wear, and before we know it we are almost late for the formal ceremony, starting at 4:30. We manage to find a parking space not too far away from where it is due to take place. In the throng making its way to the permanent stage I am accosted by an elegant lady who tells me that she designed the tie that I am wearing. 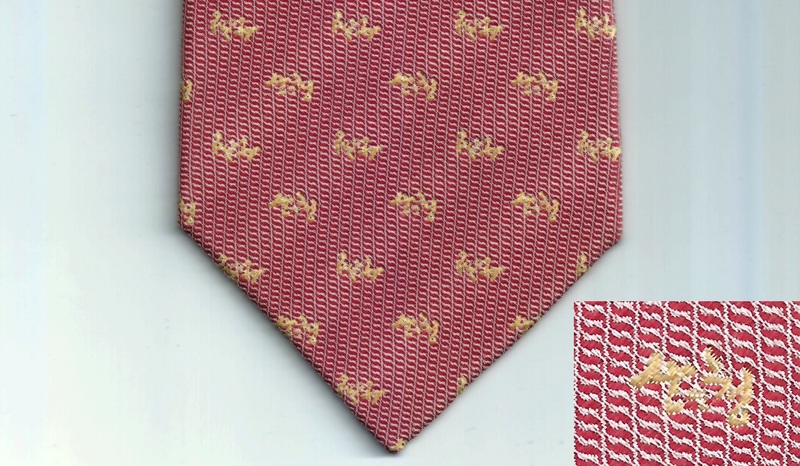 It is naturally dyed silk with calligraphic embroidery of the Sancheong county name. As I was on official duties, I thought I ought to wear the County tie, and she was delighted to see it in use by a foreigner she had never met. As I approach the marquee containing the permanent stage, I am greeted and escorted to the front row where a seat is reserved for me between between two other goodwill ambassadors for the county – veteran popular singers Jang Eun-sook and Jo Hang-jo. The audience is full of local dignitaries, provincial dignitaries, and people from the Ministry of Health and Welfare. The many nations who are exhibiting in the Expo are also there, as are delegates for an academic conference on traditional medicine which coincides with the Expo launch. There are two MCs who are doing an excellent job of getting us though the formalities, ammouncing what will happen next and recapping what has just happened. There’s a man announcing things in Korean, and an unbearably cute woman with a delightful smile giving the English translation. No matter how dull the speeches delivered by the various dignitaries might have been, in her English summary she makes them sound the most elegant orations ever delivered. The rain continues to fall, but we are kept dry under the marquee. Speeches are followed by some traditional dances by specialists from Jinju University in the next-door county, and a performance of the Sancheong Arirang, a work composed specifically for the County and always performed at ceremonies such as this. It is a rousing, upbeat variant quite unlike the Kangwon-do and Jin-do versions that can bring tears to the eyes. 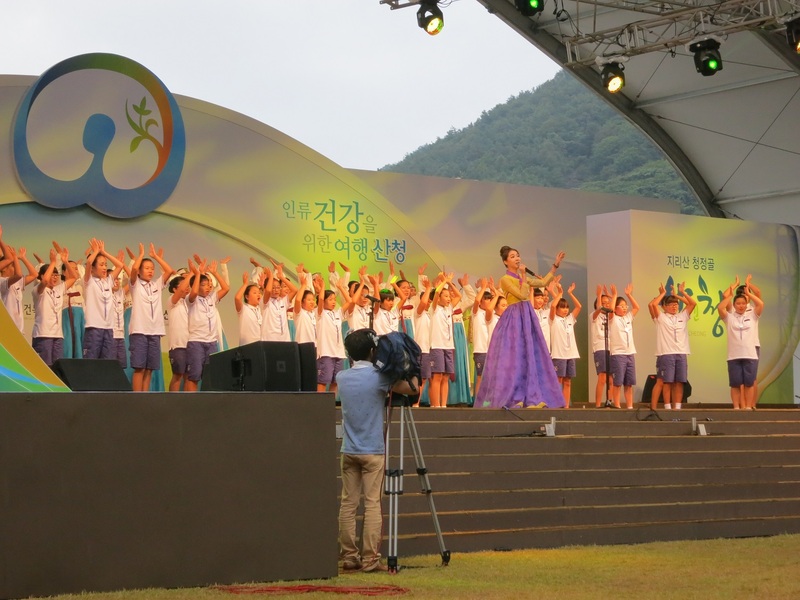 The stage is filled by children from one of the local schools and the singing is led by a powerful soprano. The traditional dancers join them on stage for a reprise of the final chorus, and the event reaches a climax with fireworks and a snowstorm of ticker-tape fired from giant cannons either side of the stage. It was a damp but triumphant start to the festival, and now the visitors could officially start to arrive. The ceremony had passed extremely quickly – or maybe it was just that the female announcer made it seem that way. The VIPs are now ushered into a fleet of waiting coaches and ferried up to the Gi Experience village for the formal dinner, near where the sanshin je had taken place earlier in the day. In an unfortunate organisational mix-up, it emerges that Kyung-sook is not invited, and the Mayor’s wife whisks me off towards the official dinner via a quick tour of some of the exhibition campus, particularly the international pavilion. I look over my shoulder wondering what has happened to my friend who brought me to Sancheong in the first place, but she is nowhere to be seen. As ambassador I have to be led around some of the exhibits by my official host for the evening, the Mayor’s wife. I have a feeling that she has had a hand in some of the displays: she takes a keen interest in health, nutrition and traditional medicine. One of my first experiences on meeting her was her readiness to reach into her handbag for her acupuncture needles, which she would apply to herself or to anyone else on request. Her conversation often revolves around diet and exercise. She points out a display about the appropriate health-giving foods for each of Korea’s four distinct seasons. “No medicine is better than healthy home food,” says the text. The way she is talking leads me to suspect that she has written some of the informative script herself. In another section of the pavilion she pointed out displays relating to superfoods such as broccoli, kimchi and, my own favourite medicine, red wine. She introduces me to a Korean celebrity chef famous for having developed recipes involving various heath-giving ingredients. She was on hand demonstrating some of her creations to the visitors. 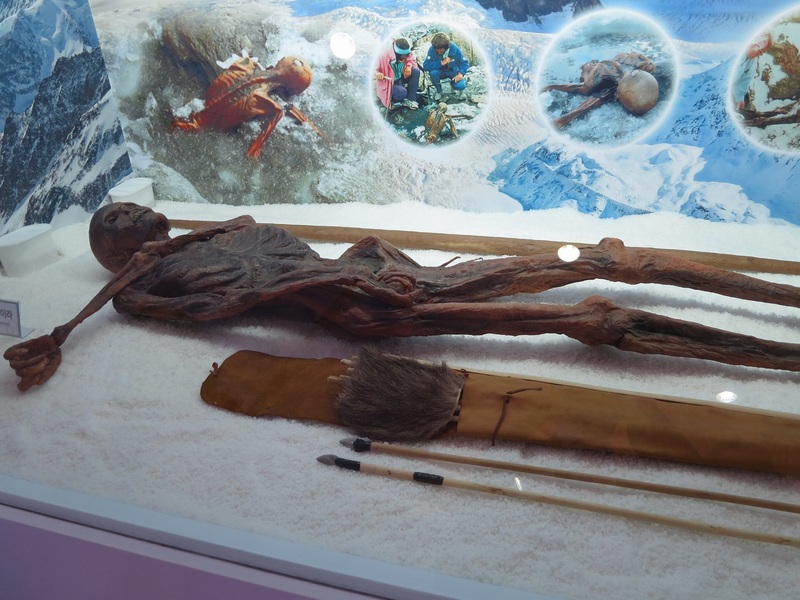 Was she behind securing the mummified remains of Otzi the Iceman for the exhibtion? Otzi lived in the Tyrolean alps over 5,000 years ago.1 His shrivelled corpse, which was discovered in 1991, has tattoo marks at positions on the body which are known as acupressure points in oriental medicine, suggesting that Europeans may have practised something similar to acupuncture 2,000 years before its first known use in China. For the world’s first Traditional Medicine Expo I can’t think of a more appropriate exhibit. The universality of traditional medicine was further emphasised by the stalls from the many participating countries which displayed their own particular traditional practices. You could get an interesting oil massage in the Indian stall. A very serious stall from Germany introduced European homeopathy, with little phials of liquid lined up in meticulous order; a delightful Romanian said that the best way to find out about Romanian traditional medicine was by visiting Romania and have one of their mud baths. You could even get your urine analysed at the Tibetan stall. And for entertainment a group of immaculately dressed Cambodian ladies performed a traditional dance in a corner of the pavilion. From native American remedies through to different takes on oriental medicine, the full range of medicines not involving penicillin seemed to be represented. We emerge from the international pavilion and make our way to the Gi Experience Village where the VIP dinner is laid out. As it’s still only 6:30 and I haven’t got over lunch yet my heart is not really in it, particularly as I’m still not sure whether Kyung-sook is going to get any dinner at all. Even the charming smile of the English-speaking MC from the opening ceremony, who is there to greet us all as we enter the traditional building, does not raise my spirits or do much to increase my hunger. But it will be pleasant to sit with Sena, the mayor’s daughter, with who I haven’t had a chance to chat since she left London for ever five weeks previously. She had been in the UK adding to her collection of PhDs. My appetite gradually returns as I look at the enticing food laid out in front of me. Various side dishes – including a kimchi made of tiny wild ginseng roots – accompany some cold pork belly. I always like it that the famously healthy and nutritious Korean food includes things such as samgyeopsal, which is full of saturated fat. After dinner, I regroup with Kyung-sook, sad that she had not been invited. Her teacher, who had been on the VIP guest list, had nevertheless declined the formal arrangements and instead found a local restaurant to share dinner with her instead, in solidarity. 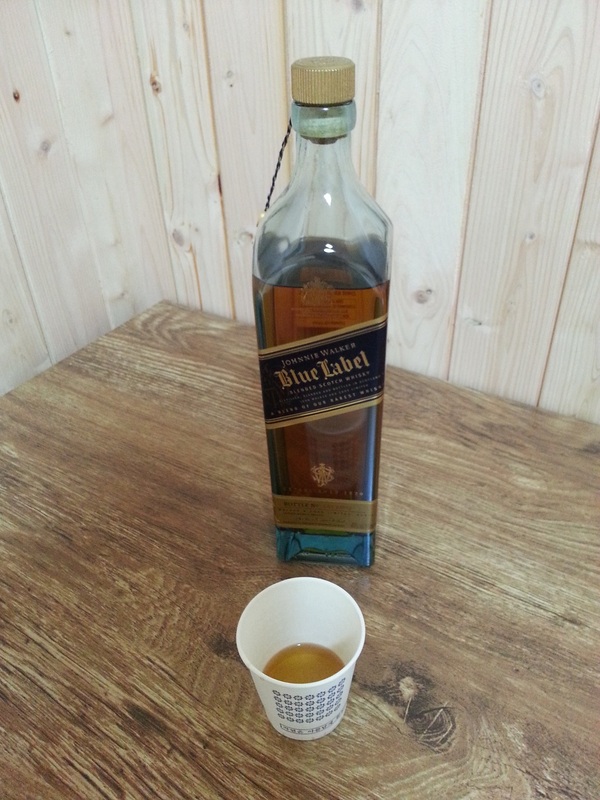 Kyung-sook and I retire to our chalet and start work on the Blue Label. And, because drinking with a Korean always involves snacks, we have some freshly-peeled pear on the side. This is my first taste of the whisky that Koreans and others find so prestigious. Yes, it’s as good as a good single malt, but costs four times as much, and I wonder why people bother with it. Perhaps it has a taste commensurate with its price if drunk out of a decent lead crystal whisky tumbler: we have to use disposable paper cups, which are the only receptacles available to us in the chalet.